Health and fitness is an ever expanding field. New workout technology, the latest diets, and the next best supplements are constantly being raved about. 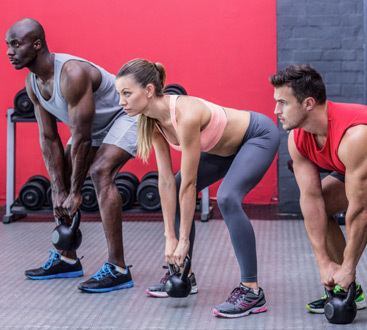 While some of these seem ridiculous and as though they would never actually work, we have found a ton of different health and fitness advances that actually do what they claim to do. 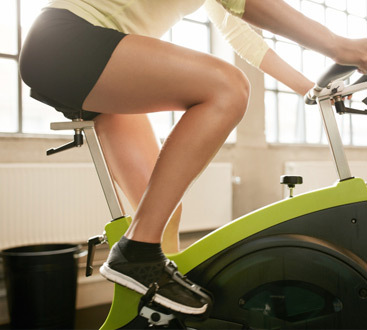 From different workout techniques to vegan diets, these health and fitness changes can be easy or extremely hard. One easy change, that you may have heard about, is switching to alkaline water. Alkaline water is water that has a pH level that is more basic than acidic. Generally, alkaline water has a pH level of about eight or nine. This water helps to balance out the pH level in the body, since a majority of the food we eat is acidic. While the research is still being done, that are benefits that you could experience if you added alkaline water to your daily routine. If you are an active person and stay on top of the latest health and fitness trends, alkaline water may be the next thing you try. At BodyPlex Fitness, we offer unique and fun workout classes, a knowledgeable and passionate team, and now we offer alkaline water! As a member of our gym, you can start a free 30 day trial, adding alkaline water into your daily routine to experience the benefits first hand. After your 30 day trial, if you feel amazing and can’t give up the alkaline water, you can pay a flat monthly fee or per gallon and enjoy this fresh alkaline water daily! But what are some of the benefits that alkaline water can offer? In this blog, we will go over some of the benefits that you may notice as you begin adding this alkaline water into your daily life. Read on to learn the benefits! Detoxing is a great way to keep your body healthy and removing any toxins in your body. Not only is water a great additions to a detox diet, but many actually recommend that you get an alkaline water filter, allowing you to remove any harmful minerals. While drinking at least eight ounces of normal tap water a day, can help you detox, it is somewhat counteractive when you consider the chemicals and bacteria that could be present in your tap water. Antioxidants can protect your body from free radicals that can be the cause of health issues. Free radicals can harm your immune system, making you more prone to different health problems. Antioxidants help reduce the effect free radicals have on our bodies, and antioxidants may be found in alkaline water. When you drink alkaline water, you are introducing antioxidants into your body and helping to protect your immune system from harm, allowing you to remain healthier. The Alkaline Water Machine Reviews, mentions that alkaline water could help to boost your immune system. Since alkaline water can help you detox and is an antioxidant, your immune system will be better protected and free of toxins. This allows you to stay healthier and remain healthy more often. Alkaline water works with your body to help you stay strong and healthy. While research is still being done to truly test the benefits of alkaline water, a few studies have shown that alkaline water may be more beneficial to people with certain health issues. The Alkaline Water Machine Reviews article discusses how alkaline water could help to prevent the development of diabetes. They mention a study done by Dr. Theodore Baroody. Dr. Baroody states that the alkaline can help balance someone’s blood sugar level, allowing the pancreas to function to the best of its ability and reducing the chances of diabetes. A Healthline article also mentions a few other health issues that alkaline water can benefit. Drinking alkaline water may be beneficial to those who have high blood pressure, high cholesterol, and even may allow for some cancer resistant benefits. These are all being tested still, but if alkaline water does offer all of these benefits, it will alter the way we view health and wellness. 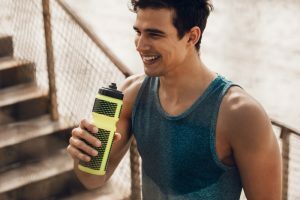 While research and studies are still being done to learn the many different benefits of alkaline water, a study has shown that alkaline water may be very beneficial for athletes. The Healthline article mentions a study that included 100 people. After a difficult workout, those participants who consumed alkaline water reduced their blood viscosity by 6.3 percent as compared to the 3.36 percent when purified drinking water was consumed. Viscosity is the measurement of how the blood flows through the vessel, meaning that alkaline water helps the blood flow more efficiently. This allows for an increased amount of oxygen throughout the body. A Huffington Post article also mentions the benefits that alkaline water can have on athletes. During an exercise, muscles produce more hydrogen ions than can be efficiently removed, meaning that acidity increases. This is what makes us fatigued after an intense workout. Due to this increase in acidity, drinking alkaline water could help our bodies buffer better and improve an athlete’s performance. The article also mentions that alkaline water could work in the same way as mineral supplements. Many endurance athletes take supplements, such as calcium, magnesium, and potassium, which help decrease their cardiorespiratory stress and improves their power output. Alkaline water can also help with hydration. Because of its mineral content, alkaline water could help retain more fluid in the cardiovascular system. Alkaline water could offer many benefits, but research is still being done. So far, the results seem positive! Especially for athletes, like our gym members at BodyPlex! If you are a member at BodyPlex or are interested in becoming a member, you have access to the latest in the health world. Alkaline water could help you in many different ways, why not try it for free for 30 days and find out the benefits for yourself? Contact us today to learn more!